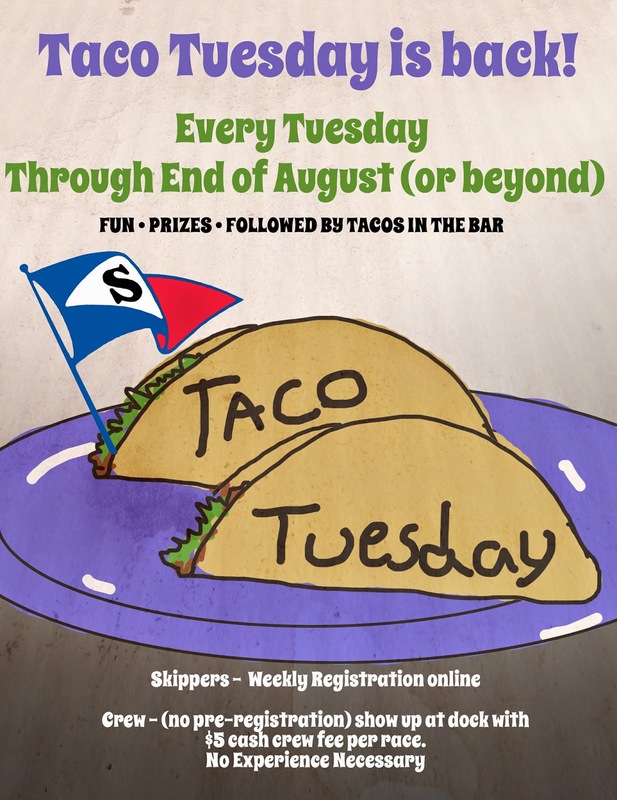 Starting in July - Every Tuesday is Taco Tuesday throughout the rest of the summer. The races will be run as individual events instead of as part of a series. This is to give more skippers an opportunity to get out and race intermittently in this busy summer season instead of committing to all of them and then not being able to attend all. Advance registration is preferred and those skippers who sign up ahead will be guaranteed a boat. We will also be assigning boats to skippers who just show up at the dock if they are available. Boats and crew will be drawn for at the dock. $5 individual race fee for both skippers and crew. Cash is best, but POS is an available option. July registration is up on the Cal 20 tab. Come on out and have some fun. Stay for the tacos and be in awe of Kathy Landers creative trophies.